website — https://mhtcet2019.mahaonline.gov.in/. Candidates can download MHT CET admit card/hall ticket from the official website. 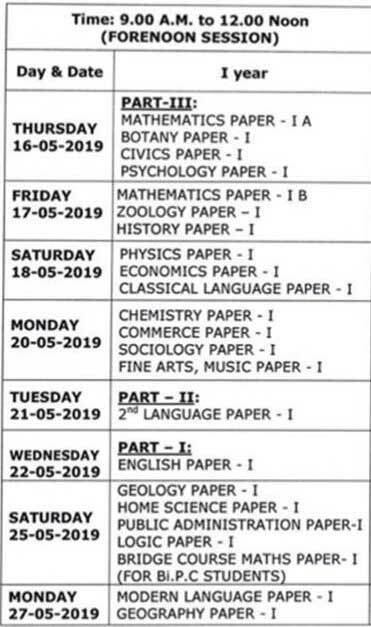 The entrance examination is scheduled to be held from May 2 to 13, 2019. MHTCET exam is held for admissions to engineering and pharmacy courses in the different colleges in the state. The exam is being held for under graduate professional courses in engineering, pharmacy and agriculture for academic session 2019-20. Candidates who pass the exam will get admission in first year full time courses such as BE/BTech, BPharm/Pharm D and professional degree courses in agriculture in institutes across Maharashtra. The exam will be held at all the district headquarters in the State of Maharashtra. Enter Login ID and password at the left of screen. You can download and take a printout for future use. same way as they appeared in 2018, for the course opted by them. Class 11 syllabus carries 20 per cent weightage and the main focus is on class 12 syllabus (80 per cent). The PSEB official also told that the class 12 exam papers have been checked and the evaluation is 70 per cent complete and class 10 evaluation process has reached 45 per cent. There were reports in social media that the PSEB 12th result 2019 could be announced by April end. Over 8 lakh students appeared for the Punjab board exams this year. Among them, around 4.5 lakh appeared for class 10 exams and around 3.5 lakh appeared for class 12 exams. PSEB results 2019 will be released at the official website, pseb.ac.in. Students can check their result by entering their roll number. The overall pass percentage in class 10 exams was 59.47 per cent last year. Overall pass percentage was 65.97 per cent for class 12. The National Testing Agency (NTA) is likely to announce the result for the Joint Entrance Exam (JEE) for admission to engineering architecture-related courses at its official website, jeemain.nic.in. JEE Main results will be released in April only. Director general, NTA, Vineet Joshi said, “The JEE result will be released before April 30, 2019 or can be announced early. He also informed that the final ranks will also be published on the same date only. When JEE Main January 2019 result was declared, students had got marks in the form of percentile and as many as 15 candidates secured a perfect 100 percentile score. Students can check the JEE Main Result April 2019 at the official website- jeemain.nic.in. A total of 9,29,198 students registered for the JEE Main in January and 9,35,741 appeared in April session. The JEE Main April session saw an increase of 6,543 candidates for engineering courses. However, in architecture courses, the number of registered candidates decreased from 1,80,052 in January to 1,69,767 in April - a total of 10,285 students dropped. The percentile scores, informed NTA, will be calculated up to seven decimal places to avoid ties. Then a merit list will be prepared. In cases of a tie, or two students scoring the same percentile score, preference will be given to the candidate who has scored highest in mathematics. If there is a further tie, preference will be given to physics and then chemistry. JEE Main score is applicable for admission to NITs, IIITs, CFTIs and private engineering and architecture courses. Office of the Commissioner for Entrance Examination conducted KEAM 2019 on May 2 and 3. The entrance exam was scheduled for April 23 across 14 district centres in Kerala, Mumbai, New Delhi and Dubai. The two-and-half-hour exam consisted of 120 questions in each paper. Each question carries four marks, and for every wrong answer, one mark is deducted. KEAM is held for admission to medical, agriculture, forestry, veterinary, fisheries, engineering, architecture and pharmacy courses. The KEAM 2019 result of Engineering Entrance Examination is to be released on or before May 25. The admission to different engineering and pharmacy colleges depend on a student's KEAM score. After the KEAM 2019 results are announced, counselling process starts where students are allotted colleges based on the overall marks. The students must keep their documents ready to avoid any issues at the last moment. The rank lists for Engineering, Architecture, B.Pharm, MBBS/BDS/BHMS/BSMS/BUMS, Agriculture/Veterinary/Forestry/Fisheries and BAMS will be published separately. The results will be available on the official website (www.cee.kerala.gov.in) of the CEE and on other websites to be notified by the CEE. The rank lists for Engineering, Architecture, B.Pharm, MBBS/BDS/ BHMS/BSMS/BUMS, Agriculture/Veterinary/Forestry/Fisheries and BAMS courses will be published on or before 20th June 2019. RBSE secretary also said, “The evaluation process is still underway and the board will release the result dates after the completion of the evaluation process.” She also said, The RBSE Class 12 Arts result 2019 will be reelased in the last week of May, and RBSE Class 10 results 2019 in the first week of June. The RBSE 12th Science Result, RBSE 12th Commerce Result will be released on the official websites rajeduboard.rajasthan.gov.in, rajresults.nic.in. Students need to visit the official websites and enter their roll number to view their scores. Around 20 lakh students appeared in the board examinations this year. 9 lakh students appeared in Class 12, and 11 lakh in Class 10. The board examination was held from March 7 to 14, 2019. Over 5 lakh candidates appeared for the High School exams in 2018. 48,000 students appeared for the Commerce examination and 2.25 lakh students appeared for the science paper. 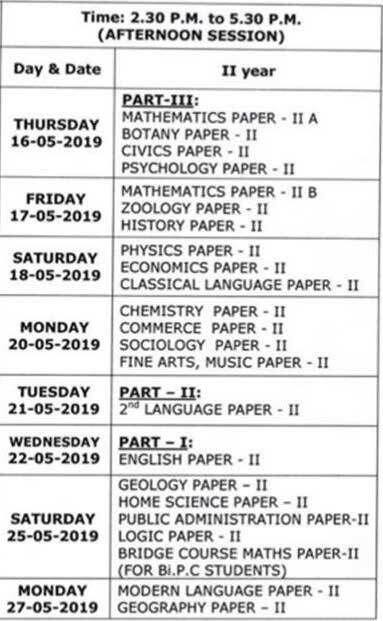 Rajasthan Board of Secondary Education RBSE announce the Class 12 Arts results in the last week of May (May 27 to 31, 2019). Around 5.3 lakh students who had appeared in the exam can check the results via the websites- rajeduboard.rajasthan.gov.in, rajresults.nic.in. The 12th Arts examination was held from March 7 to 14, 2019. RBSE secretary Meghna Chowdhury said, “The evaluation process is still underway and the board will announce the RBSE result dates after the completion of the evaluation process.” She also said, "RBSE Class 12 Science, Commerce results will be released in the third week of May, and Class 10 results in the first week of June. Students can check their marks via the official websites, and enter their roll number to view their scores. The marks will also be available via SMS. SMS – RESULT<space>RAJ12A<space>ROLL NUMBER – to 56263. Around 20 lakh students appeared for the board examinations that was held in the month of March. 9 lakh students appeared in Class 12, and 11 lakh in Class 10. The board examination was held from March 7 to 14, 2019. Over 5 lakh students appeared for the High School exams in 2018. 48,000 students appeared for the Commerce examination and 2.25 lakh students appeared for the science paper. Lats year, rhe result was announced on May 24, and 87.78 per cent students passed the examination successfully. UP Board official also informed that both class 10 and 12 results will be released on the same date. UP board result is likely to be announced around April 25, 2019 but there is no official confirmation. Students can check the UP Board Results 2019 at the official websites upmsp.edu.in, upresults.nic.in. Deputy CM Dinesh Sharma, who is also the minister of Secondary and Higher Education, has earlier announced that the UP Board Result 2019 would be released by April 30, 2019. Thus, result could be released anytime from April 22 to April 30, 2019. A total of 5,89,622 students had registered for class 12 and class 10 exams. 26.54 lakh students, including 1.79 lakh private examinees registered for the Inter exams in 2018 out of which 11 lakh were absent in exams. A total of 8,354 examination centres in the state were equipped with CCTV cameras and voice recorders were also installed for the first time to keep a strict vigil. UP board has increased the fee for the re-evaluation of exams by as much as five per cent. Now if any students wants to get one subject paper reevaluated, students need to pay Rs 500 instead of Rs 100 earlier.